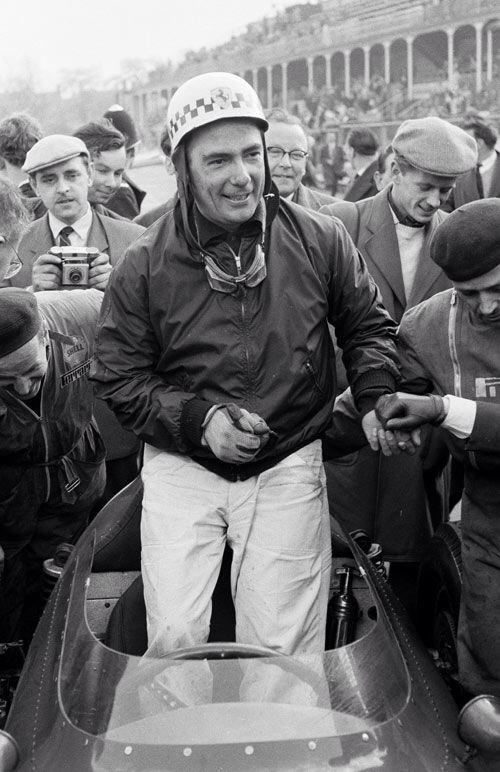 Not an article about this great and perhaps underrated driver but rather some 1959 snippets. 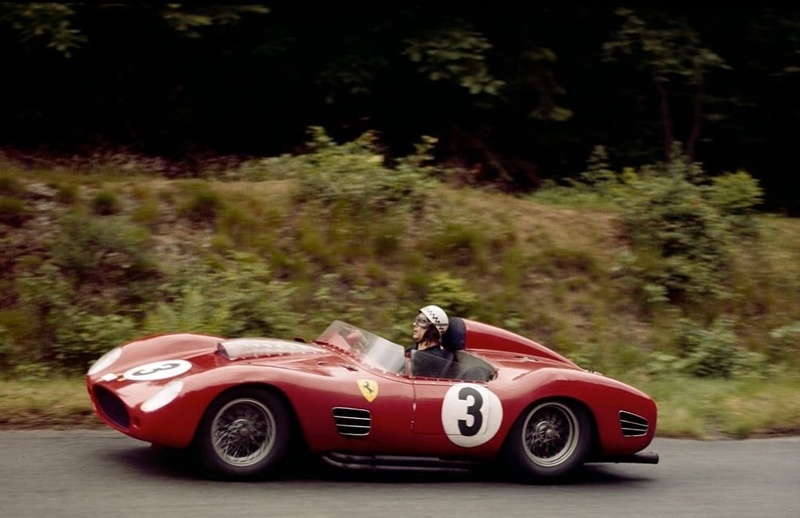 The shot below is of Behra at the wheel of the works Ferrari 250TR59 at Brunnchen, the Nurburgring on 7 June 1959. 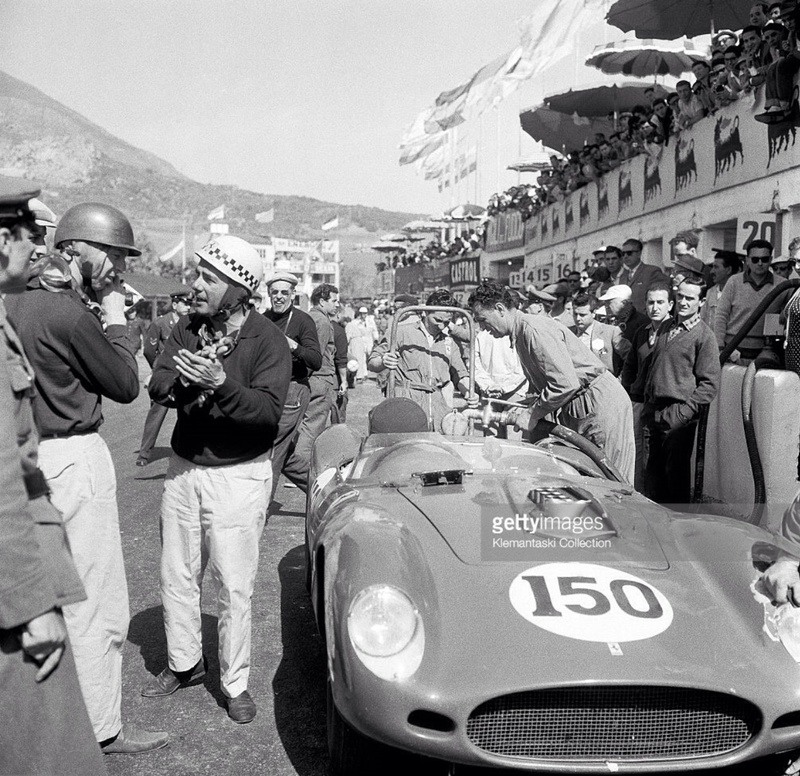 He and Tony Brooks were 3rd in the race won by Stirling Moss and Jack Fairman in an Aston Martin DBR1. 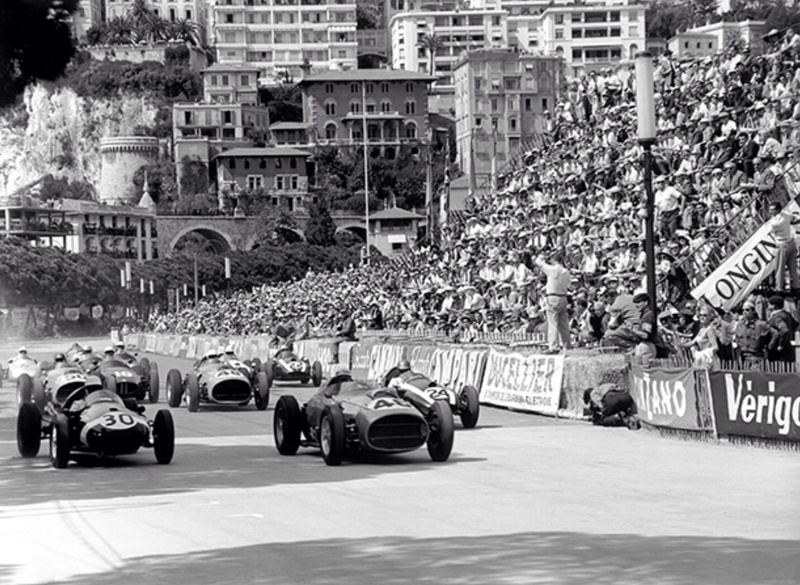 The great Frenchman switched from BRM to Ferrari in 1959, he started the year well winning the non-championship ‘BARC 200’ at Aintree, one of three non-champ events in the UK before the first F1 title events commenced at Monaco in May. In an encouraging start to the season Jean won the race from teammate Tony Brooks and Bruce McLaren’s works Cooper T45 Climax. 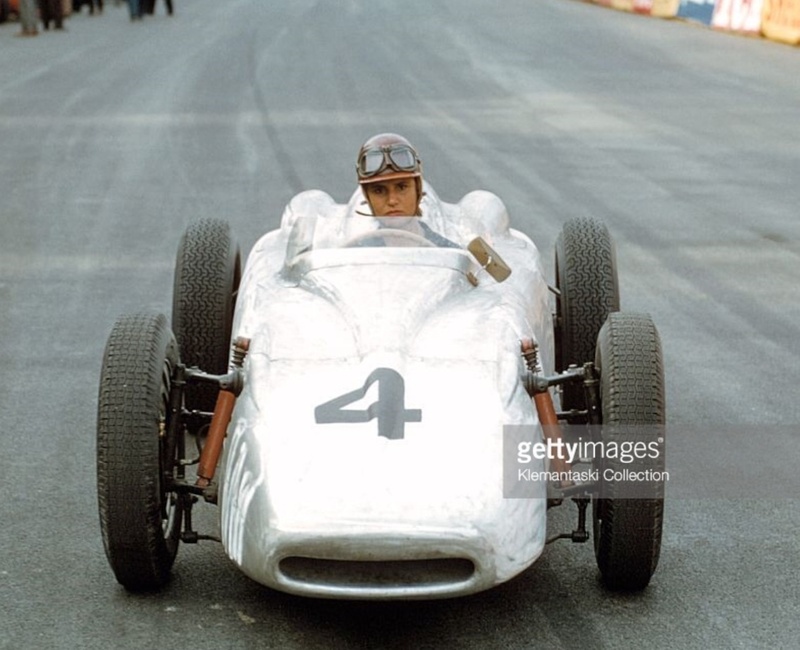 At the tiny principality Jean (below) was both a driver and entrant, he had built a Porsche RSK based F2 car which he entered for Maria de Filippis. Despite her best efforts she couldn’t qualify the car amongst the mixed grid of F1 and F2 cars. In a sign of the times, and Porsche’s commitment to open-wheelers the factory built and entered their own car which was raced by Taffy Von Trips until a collision with Cliff Allison in an F2 Ferrari Dino. The car, based on a new RSK had a tubular chassis built by Valerio Colotti (then of Maserati and later of transmission fame) which picked up the original front and rear suspension. The machine followed the general principles of the donor with track and wheelbase the same. The driver was placed centrally of course, the 4 cam spyder engine, gearbox, battery ignition, dynamo starter were all retained. Colotti’s neat aluminium body was beautifully formed, the result low, streamlined and small given the cars underpinnings. DSJ’s Motorsport report of the event likened it to the Sacha-Gordini of several years before. The circa 150bhp F2 car proved to be prodigiously fast. Hans Hermann raced it for Behra at the Reims GP on 5 July finishing 2nd only to Stirling Moss’ Rob Walker Cooper T45 Borgward…in the process beating the factory Porsches of Von Trips and Bonnier and Allison’s Ferrari 156 much to the consternation of the Maranello management. 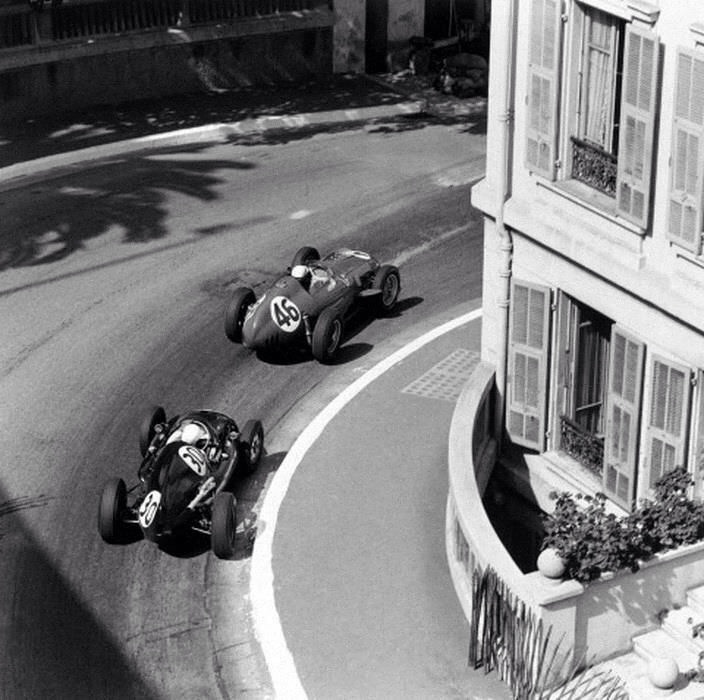 The shot above is de Filippis in Behra’s Porsche Spl during Monaco practice, the lines of Colotti’s car sleek and low. Below the field blasts off at the start, Behra in the middle is first away in the snub-nosed Dino from Moss on the left and Brabham on the right in Cooper T51 Climaxes, Rob Walker’s for Stirling and the works car for Jack, the latter on the way to his first GP win. Further back is #48 Phil Hill’s Dino 4th, #50 Tony Brooks 2nd placed Dino and Jo Bonnier #18 in the first of the BRM P25’s DNF. 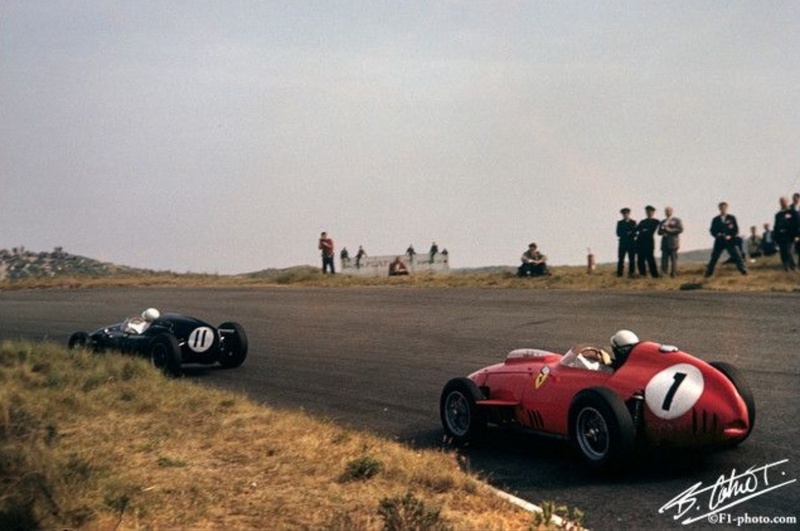 The photo below shows Stirling Moss chasing Behra’s Ferrari, the Frenchman led the race until Stirling got past on lap 21 and then Brabham, after the Ferrari had engine failure on lap 22. Jack went on to take his first championship win. 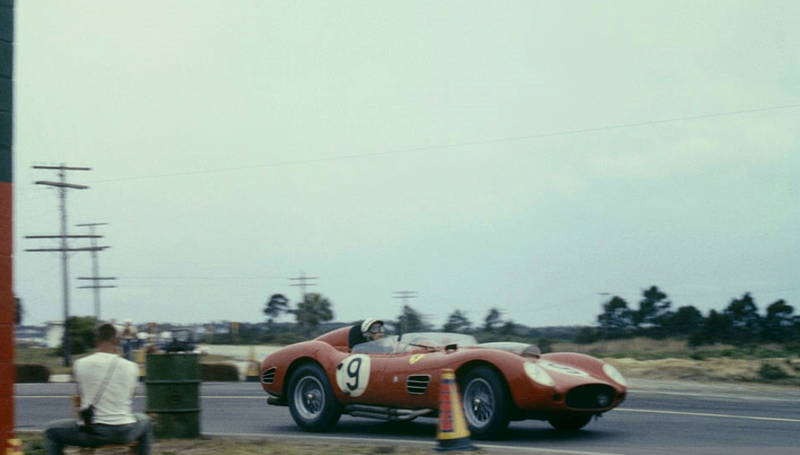 Jean contested 4 of the World Sportscar championship events from March to June in the Ferrari TR250, his best results 2nd at Sebring with Cliff Allison and 3rd at the Nurburgring with Tony Brooks. 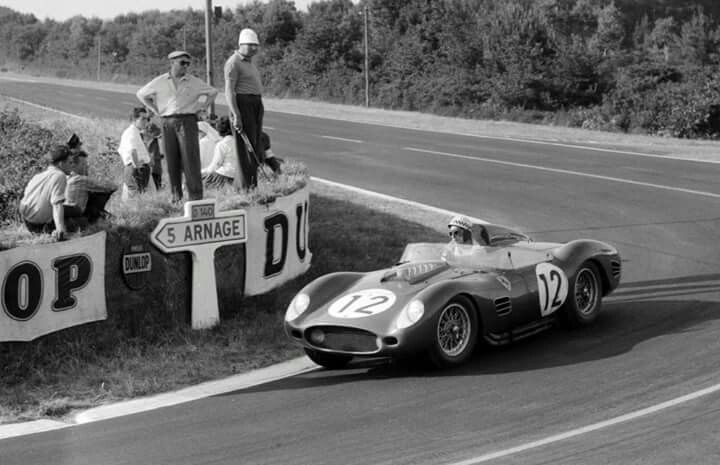 The latter combination failed to finish Targa and at Le Mans Jean and Dan Gurney were out on lap 129 with gearbox problems. 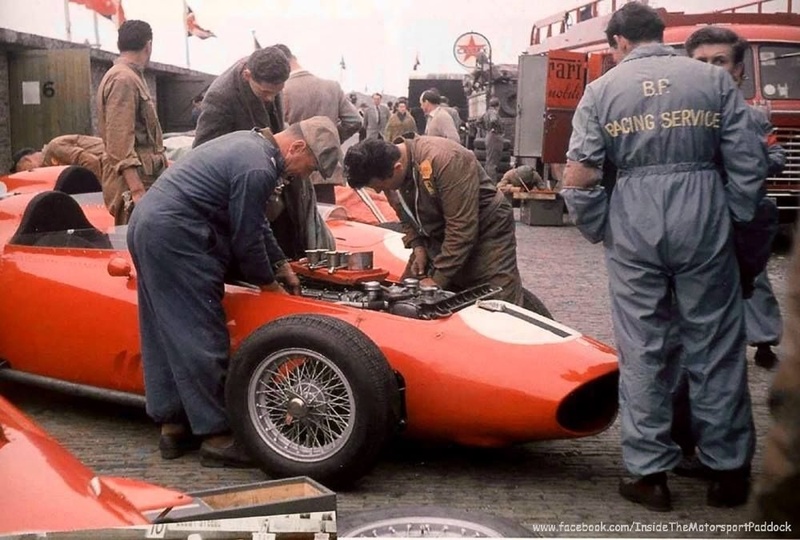 Behra’s Ferrari Dino 246 being fettled in the Zandvoort paddock, cars were entered for him, Cliff Allison and Phil Hill qualifying 4th, 8th and 12th respectively with Bonnier’s BRM P25 on pole. His promise in practice was fulfilled in the race with the first championship win for the Bourne concern. Behra below chasing Stirling Moss’ Cooper T45, he qualified 4th and finished in the same position, Brabham and Gregory were 2nd and 3rd underlying the performance of the 2.5 Coopers on a course which required a blend of power and handling. 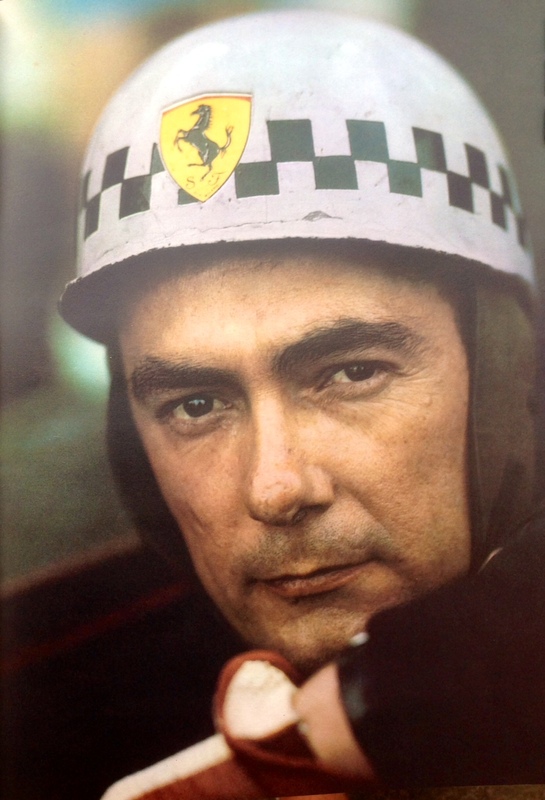 Onto Reims, Jean’s home race of course where things totally unravelled. 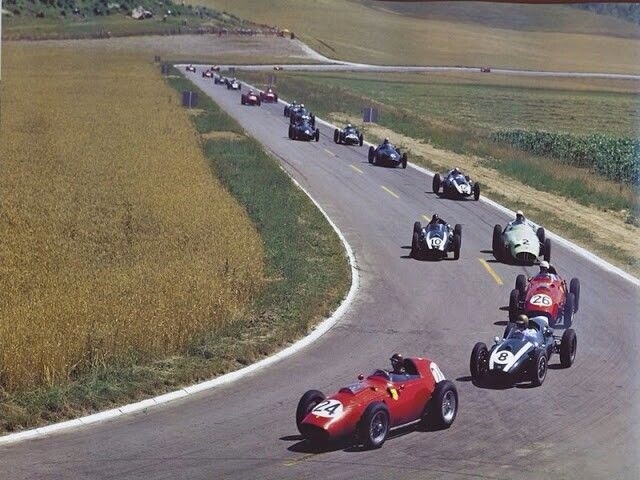 In a year in which the mid-engined revolution took hold, full 2.5 litre FPF Coventry Climax engines made clear the performance advantage of the Coopers, Ferrari only had an advantage on the faster courses of which Reims was one. Some reports have it that Behra, a handy mechanic with great mechanical sympathy was over driving and abusing his engines in the final months of his life in his efforts to remain competitive. Brooks was on pole with Phil Hill 3rd on the grid, Jean was on the 2nd row. Tony Brooks Ferrari 246 convincingly won the race in a great display of high speed precision driving in an event made incredibly demanding due to heat and stones thrown up by cars as the tracks surface suffered. Jean qualified 5th and raced hard, having been left on the line, he made a lunge for 2nd on lap 25, but spun and dropped back to 4th. 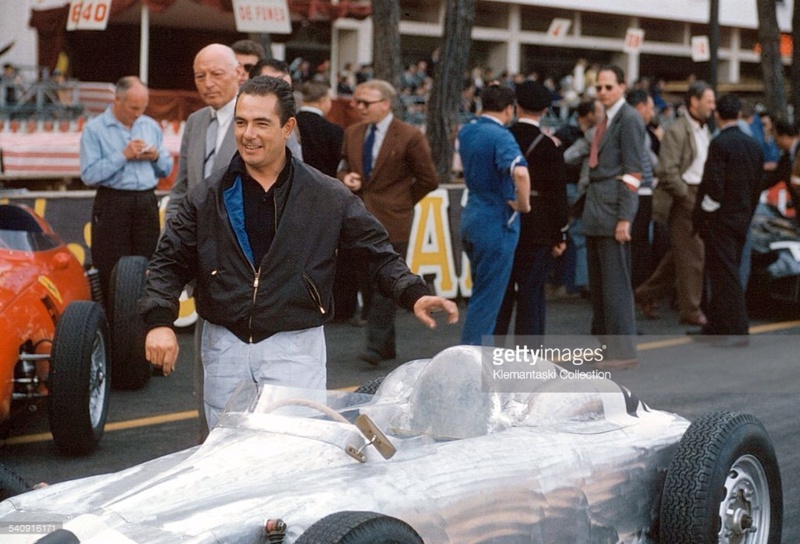 He equalled the lap record set by Trintignant on lap 28, he was racing for a hometown win after all, only for the cars engine to cry ‘enough’ on lap 29, he was out with piston failure. The only member of the Scuderia driver line-up that year that didn’t speak English, fired up after the race, he had a ‘spirited’ exchange with team manager Romolo Tavoni. Tavoni glanced at the cars rev counter ‘tell tale’ in the pits and began, very unwisely, his driver full of adrenalin, to remonstrate with him about one-too-many over-rev and subsequent engine failure. The stocky Frenchman thumped him, knocking him over with one punch. Inevitably and predictably Jean was ‘shown the Maranello door’ giving Dan Gurney a Ferrari opportunity he took full advantage of. 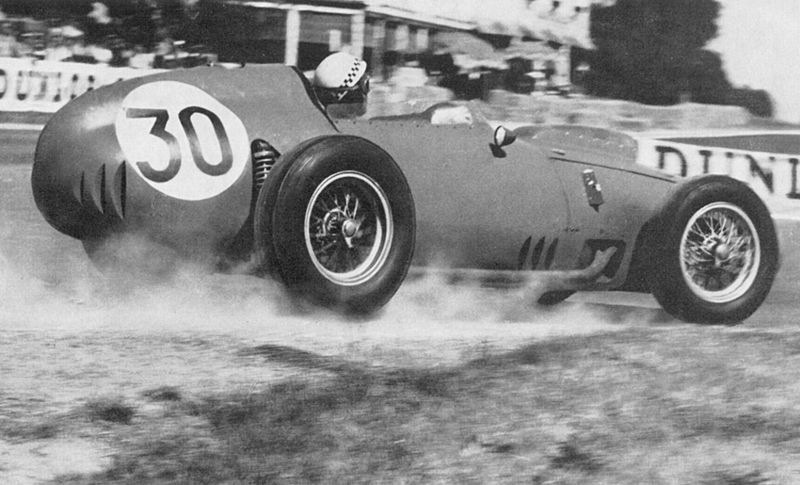 Ferrari missed the following GeePee at Aintree with industrial strikes in Italy but returned to the fray at Avus for the 2 August German GP. Jean made contact with Raymond Mays to return to the BRM team there, but there was not the time or resources to make available a P25. Jean therefore entered and qualified the 1.5 litre F2 Behra Porsche (pictured above) 16th of 17 cars but didn’t take the start of the GP after crashing, in the wet at over 100mph in a Porsche RSK in a support race. He died instantly in the awful accident in which he was flung from the car, hit a flagpole on the bankings outer extremity and then dropped into the outfield below. A bright, charismatic light was extinguished.